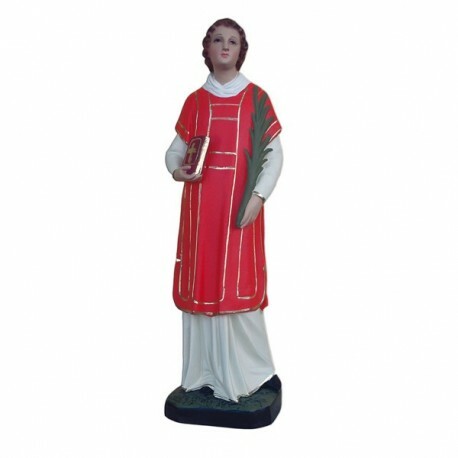 Statue of Saint Lawrence of 45 cm. 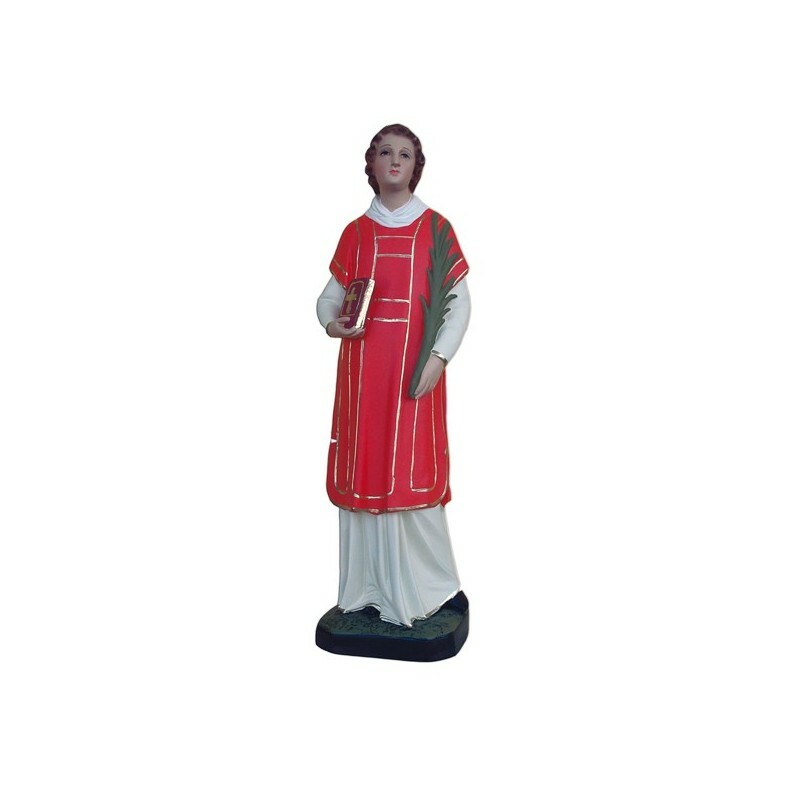 Saint Lawrence martyr is commemorated on the 10th of August. “The Passion” of St. Lawrence was written a century after his death, so it is not reliable. and killed. He was roasted on a broiler, but the modern researchers think that he was beheaded. 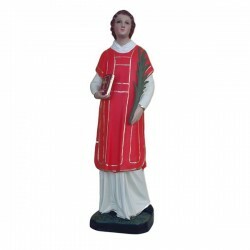 His martyrdom produced a deep impression in the roman Christians and his death was that of the idolatry in Rome. Lawrence was buried in the “Campus Veranus”, where there it was built his Church. He is illustrated in deacon clothes with a broiler.